Our crispbreads can be served as appetisers or cocktail bites at parties. The range of toppings is limited only by the imagination, but we have collected some of our favourite recipes here for you to try. Grate a third of the apple and just over half of the fennel bulb into a bowl. Mix half of the sour cream and half of the mayonnaise with the grated apple and fennel bulb. Season with the mustard, balsamic vinegar, and basil or dill. Cut the gravlax into small pieces, and mix with the other ingredients. Season with black pepper. 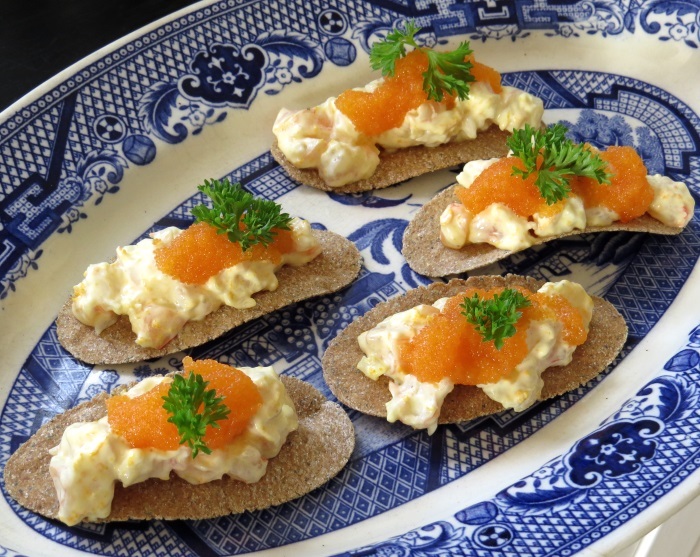 Serve on top of Åby crispbread. These snacks can be prepared up to an hour in advance. Fry the chanterelles until all the water has evaporated. Add the butter and shallot, and continue to fry for a while. Season with salt and pepper. Take the pan off the heat, and add a dash of truffle oil. Place the chanterelles on Åby crispbread, and garnish with Parmesan shavings. Chop the crayfish tails, and mix them and the grated orange zest into the mayonnaise. 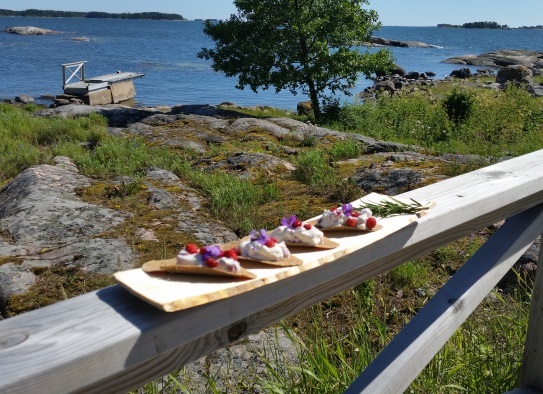 Serve on top of Åby crispbread. Clean and bone the smoked Baltic herrings. Mix together the marinade ingredients in a bowl. Cut the Baltic herring fillets, apple, and onion into small pieces, and pour the marinade on top. Leave to marinate for at least four hours, preferably overnight. Serve on top of Åby crispbread. 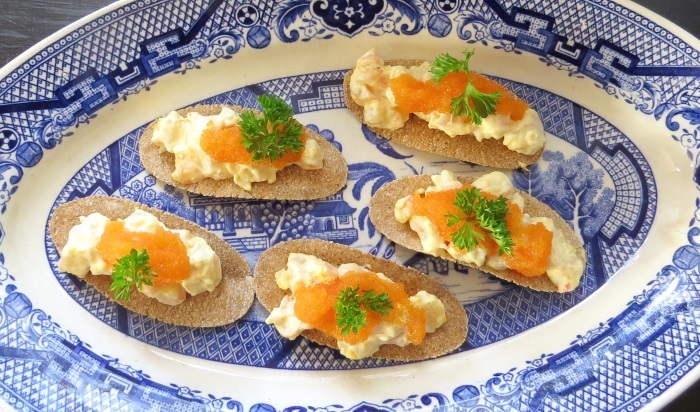 Put a teaspoonful of roe and sour cream on a piece of crispbread. Sprinkle with a few drops of lemon juice, and season with freshly ground pepper. Garnish with sprigs of dill (optional).